Each knife in the Henckels International Modernist Block Set features a fully forged bolster for sturdy, balanced cutting. 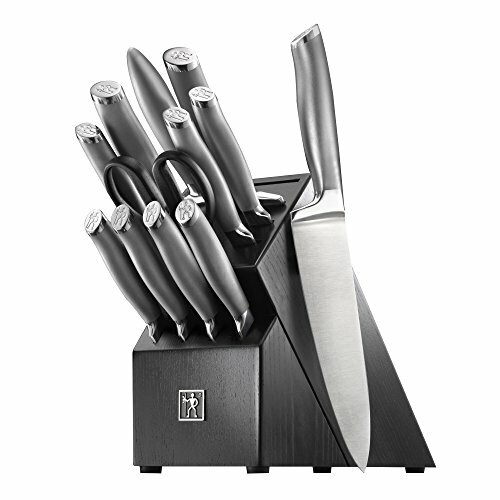 Equally ergonomic and stylish, the lightweight, stainless steel handles have an easy-to-grip, sandblasted texture and a polished, logo-embossed stainless end cap that adds aesthetic appeal to your knife block. HI Modernist stands for superb quality at a remarkable value.